Want to your improve your eye and finger coordination to attain a super reflexive state in a fun & effective manner ? Burstly promises you to train your brain & activate the mind by forcing you in a focused conscious state. 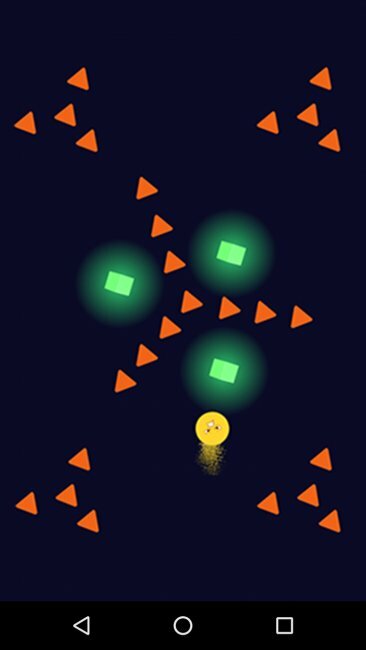 Burstly is an action arcade game which is simple, but with endless fun. Touch your finger anywhere on the screen and slide on to avoid the traps and collect points. I think you can improve the particles effect behind the player. It's the center of your app, so make it perfect ! Also, I would change the font of the score, too rounded for your game in my opinion (may be wrong).